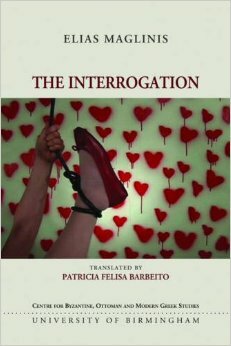 Patricia Felisa Barbeito (Professor, Literary Arts and Studies) has been nominated for Greece’s National Book Award in the category of Translation for her translation of Elias Maglinis’s novel, The Interrogation (Birmingham Modern Greek Translation, 2013). Heralded as groundbreaking in Greece when first published in 2008, Elias Maglinis’s Η ανάκριση (The Interrogation) boldly focuses on the fractious intersection of the personal and the political, the combined, interwoven legacies of historical and familial traumas. Kostis, a retired journalist-translator, refuses to talk about his past: a former dissident during the junta era in Greece, he was arrested and severely tortured by the military police (the notorious ESA). These experiences continue to shape his most intimate relationships. His artist daughter, Marina—an acolyte of the “grandmother” of performance art, Marina Abramović—believes in the transformative power of confrontation: “Let it all out, dad,” she admonishes him. She uses self-mutilation as a form of expression and a means of getting her father to lay to rest this past. In these characters’ struggle to find a common ground and a resolution to their family’s pain, the novel charts the decades of violence unleashed by the polarized struggle between the right and left in Greece, as well as related culture wars.